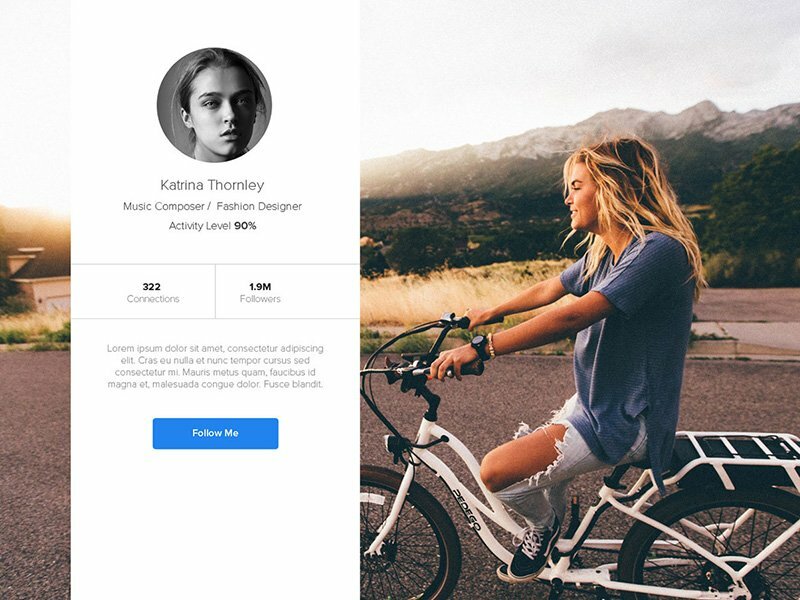 This Simple profile card UI design is useful for your next project. Each layer is scaleable. Images are smart objects that can be replaced with your own picture simply with one click.